While Portugal is not a very large country, it is home to a wide variety of landscapes, cultures, and experiences. The well-known cities of Porto and Lisbon draw the attention of tourists from around the world, but the less-traveled parts of the country offer completely new and unique travel opportunities. My recent trip to Central Portugal, specifically the region around the town of Guarda, showed me that there is a great diversity of adventures to be had here. The first thing you notice about Central Portugal are the landscapes. The rolling hills, covered with almond plantations, olive farms, and countless vineyards, seem to go on endlessly. 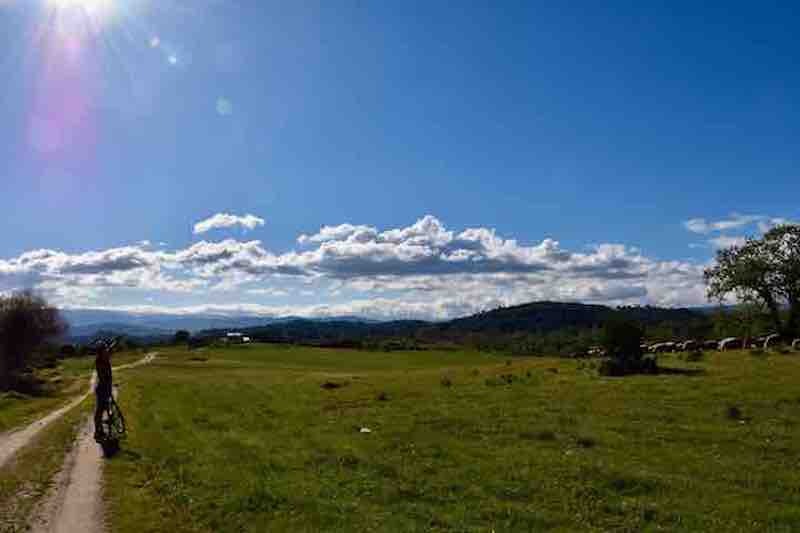 As you venture closer to the Serra da Estrela Natural Park, these hills gradually grow larger and larger until you are suddenly surrounded by the largest mountains in the country, complete with snow-covered peaks and even a ski resort. These spectacular natural vistas are complemented by a scattering of small, centuries-old villages with beautiful red-tiled roofs. The region also has a very rich history that is best appreciated by visiting the numerous historical villages spread across the countryside. 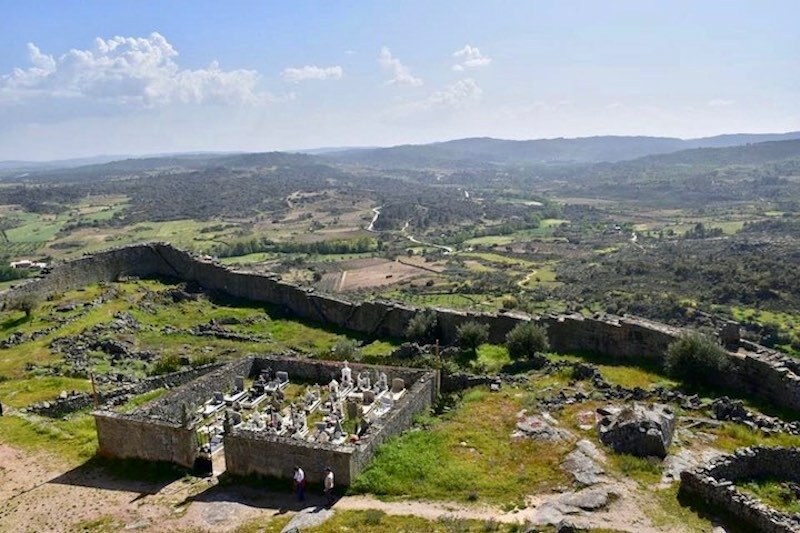 These small villages, many of which date back to the medieval ages, bring you back through time to pivotal points in Portugal’s history when various Kings sought to defend their borders from foreign invaders. 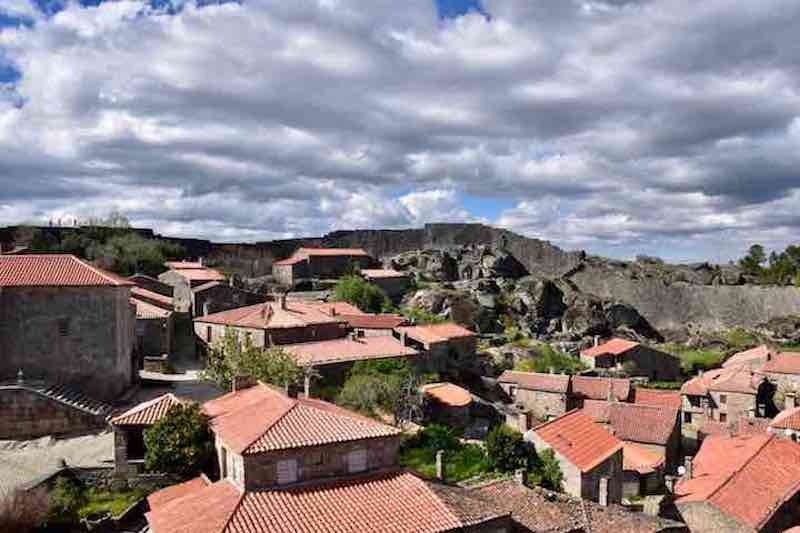 Many of these villages are surrounded by extensive granite walls and boast beautiful castles that allow you to feel like you have been transported back hundreds of years. Many of the villages in Central Portugal are also very important to the history of Jewish communities in Europe. While there were times in Portugal’s history in which people of all religions coexisted peacefully, there were others in which Jews had to hide their religion and blend in with society to avoid being targeted by the Portuguese Inquisition. Evidence of these Jewish communities is still visible today in the architecture and design of many of the homes in these historic villages. In recent years, a substantial effort has been made to connect these historical villages to encourage tourists to come experience this region’s rich history and culture. To accomplish this, a 600 kilometre-long system of biking and hiking paths has been created to enable people to explore the region by bike or on foot if they want a more adventurous experience in Central Portugal. To accommodate adventurous travellers, many hostels and hotels in the region have workspaces for the repair or maintenance of bicycles. No trip to Portugal would be complete without a proper sampling of local wines and regional cuisine. Most of the wine in the Guarda region is of extremely high quality, but one wine in particular stands out as truly unique. The ‘pinking’ wine of this region has the color of a light rosé but is, in fact, a white wine that gains a slightly pink tone after bottling. Paired with a local sausage or lamb dish and enjoyed while watching the sun setting over the hills may be the best way to end a day in Central Portugal. I only got a small taste of Central Portugal during my short trip to the region surrounding Guarda, but even so, I was left wanting to return soon to explore the region further. The history, the people, the food, the wine, and the landscapes all come together in this part of the world to create countless opportunities to explore and travel away from the big cities. No matter your travel niche, there is something for everyone in this region. Personally, I’ll be coming back very soon for the stunning landscapes, incredible biking trails, and delicious wines.